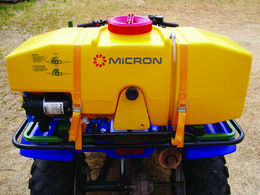 Available in 80 litre capacity, the MicronTank System can help increase the productivity of your spraying operation and reduce the time spent at the refill point. And at the end of the day the unit's clean water flushing system makes life easier too. The flush tank provides ample liquid for the lines to be thoroughly cleansed of chemicals. It's quick, simple, effortless, and allows you to quickly get on with more profitable tasks. 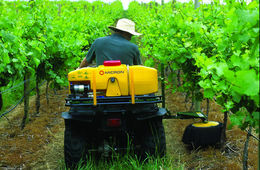 The unit can deliver up to 300 litres per hour - sufficient capacity for spot spraying, low volume and CDA use. 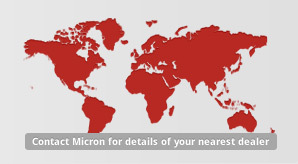 The pump is housed for maximum protection yet still easily accessible for maintenance. The tank is moulded from heavy duty plastic for a maintenance free long life. It has been designed to mould around the driver for greater comfort. The overall design achieves capacity yet keeps a low, sleek profile. The 3.5 litre clean water flushing tank is positioned for easy-fill access and fits snuggly into the complete unit design. The tank is light and easy to handle and can be quickly mounted or removed. 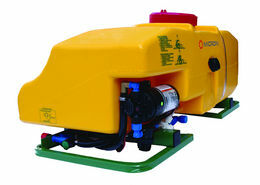 Coupling to a sprayer unit is simple.